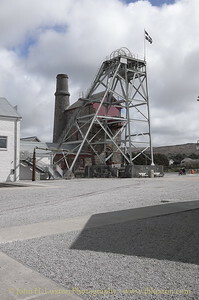 In 2012 the Robinson's Shaft section of South Crofty Mine at Pool, near Camborne was opened as a community heritage project which has conserved the historic mine buildings, reclaimed derelict land and provided a public space for both locals and visitors alike. 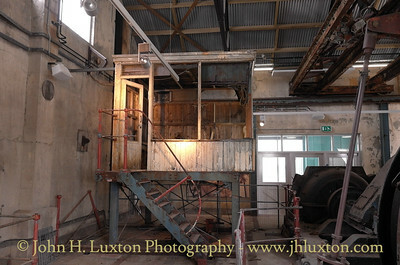 Robinson's Shaft Engine House and headgear. 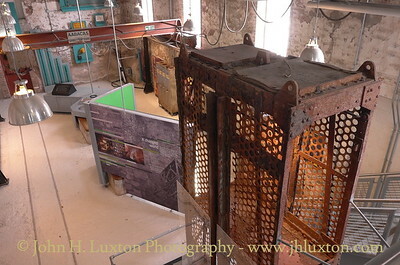 The building houses an 80 inch Cornish Beam engine constructed by the Copperhouse Foundry, Hayle in 1854. Robinson's Shaft engine house viewed though the headgear.. 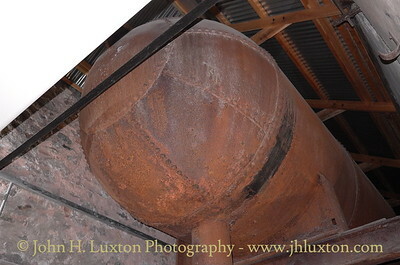 The beam of the 80 inch pumping engine can be seen however, the pump rod has been removed. 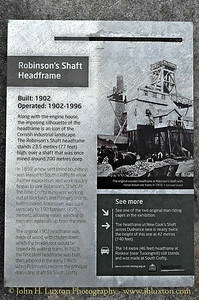 Interpretation plaque for Robinson's Shaft Headframe. 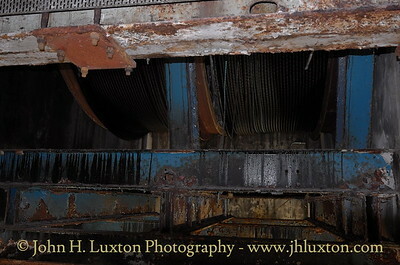 The electric winding engine cable drum viewed from underneath. 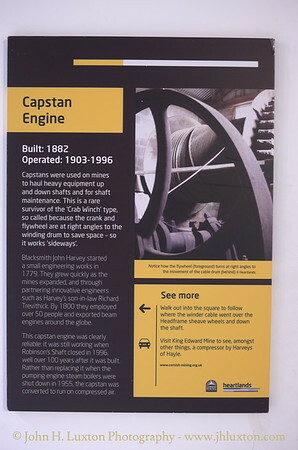 Interpretation plaque for the Robinson's Shaft capstan engine used for moving equipment up and down the shaft. Robinson's Shaft Capstan Engine drume used for moving equipment up and down the shaft. 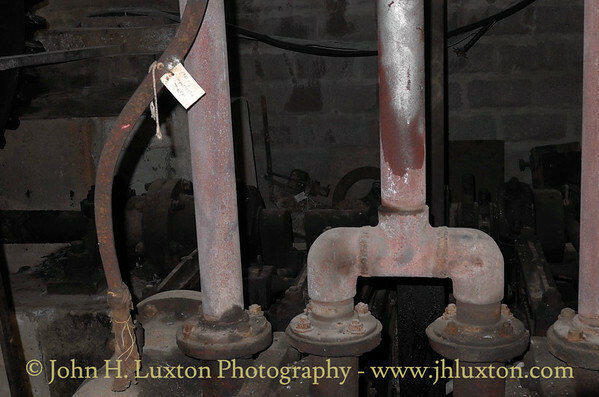 Pipework on the steam capstan engine. 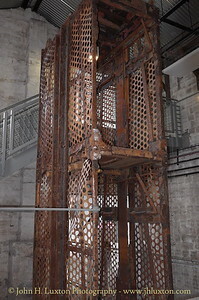 A double deck man riding gig / cage used to transport men up and down the shaft. 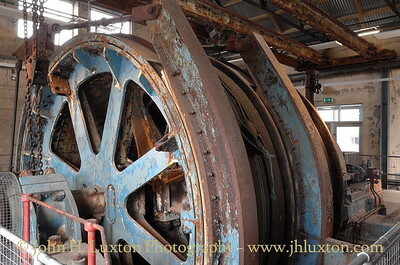 The Robinson's Shaft electric winding engine was installed in a new purpose built house in 1964. 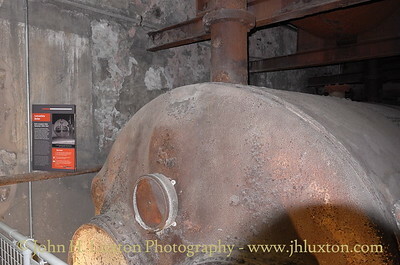 I remained in use until the shaft closed in 1996. 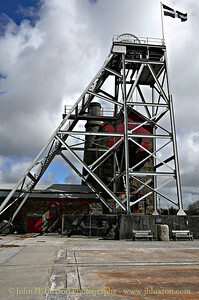 Unfortunately during the period of closure the engine house suffered an arson attack and the winding engine was damaged. 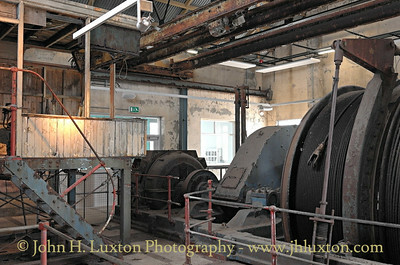 The building was repaired as part of the Heartlands Conservation Project but as yet work has not commenced on restoring the engine or its control cabin and it presents something of a sorry sight to visitors. 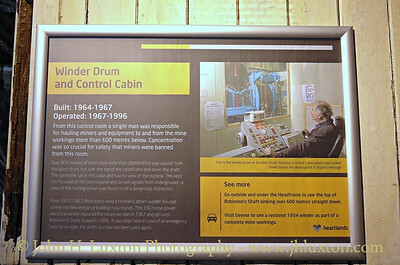 Interpretation plaque for the Electric Winder and control cabin used between 1967 and 1996. 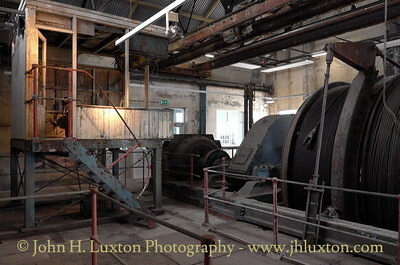 The Robinson's Shaft electric winding engine was installed in a new purpose built house in 1964. 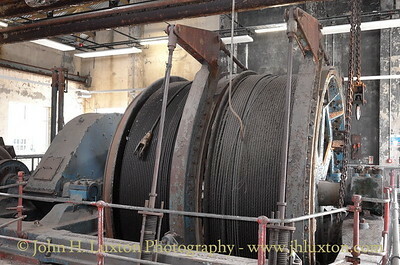 I remained in use uuntil the shaft closed in 1996. 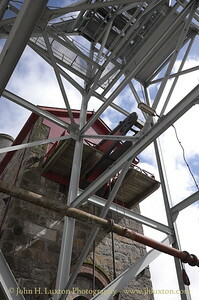 Unfortunately during the period of closure the engine house suffered an arson attack and the winding engine was damaged. 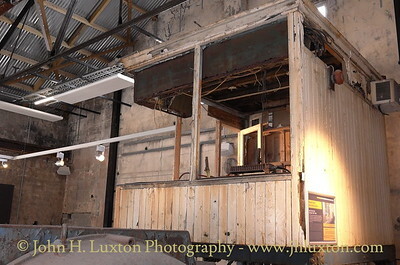 The building was repaired as part of the Heartlands Conservation Project but as yet work has not commenced on restoring the engine or its control cabin and it presents something of a sorry sight to visitors. 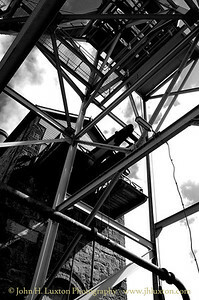 Double Deck man riding gig / cage displayed in the Heartlands Museum. 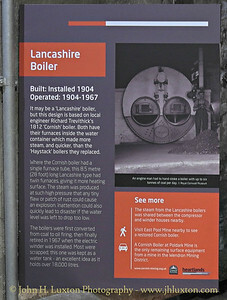 The Lancashire Boiler used for the steam winder. 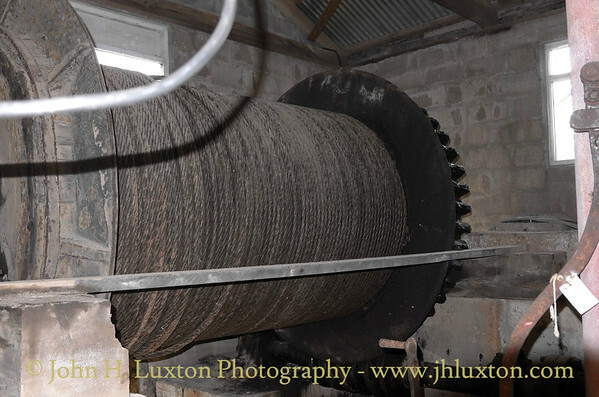 When the steam winder was replaced by an electric winder in the 1960s it was used as a water storage tank. 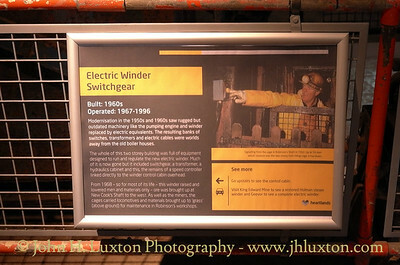 Electric winder switch gear interpretation plaque. 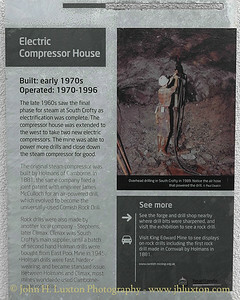 Electric Compressor House interpretation plaque.